Bell Trinity Square / 483 Bay St. Well-known in Toronto as ‘483 Bay’ this office complex occupies part of the former site of the historic Eaton’s Annex. Built in 1983, the property achieved LEED Gold certification in 2010 and is home to several high profile businesses and organizations. 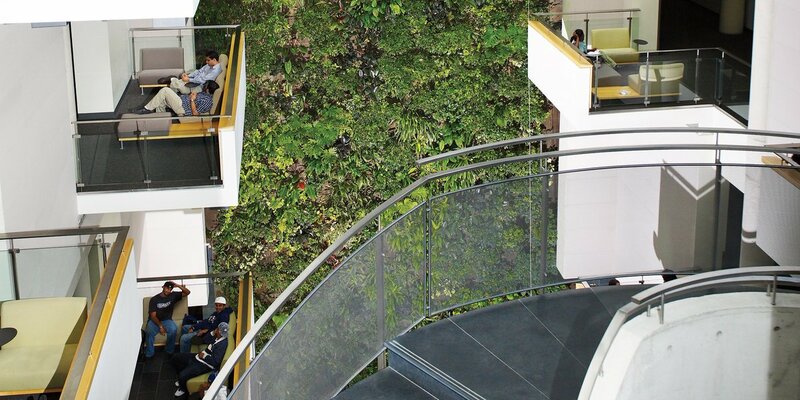 We worked with property managers, Northam Realty to create a biofilter design that would complement this corporate atrium setting and further their green initiatives.